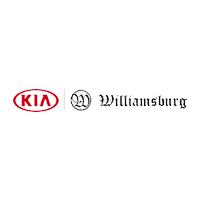 Why Buy From Williamsburg Kia? We want to give you the best possible deal on a NEW or USED vehicle. All of our vehicles are priced competitively and are posted clearly on every vehicle and on-line in alignment with our policy of transparency. Pin Point Market Value for your vehicle. We buy cars even if you do not purchase one from us. We look at multiple sources including guide books, market reports and overall condition / mileage to determine FAIR MARKET TRADE-IN VALUE. We have Master Certified Technicians on staff who are working extended hours during the week and Saturday. Not to mention easy on-line appointment scheduling and a complimentary courtesy shuttle service. Our experienced sales staff is eager to share its knowledge and enthusiasm with you. We encourage you to browse our online inventory, schedule a test drive, explore warranty details, and investigate financing options. You can also request more information about a vehicle using our online form or by calling (757) 229-1050.